SUMMARY: Agricultural economist John Ikerd explains why factory food fails our health needs. Jonathan Mingle on black carbon, the second largest cause of climate warming, melting Arctic, and killer of millions. In this Radio Ecoshock show, we’ll find out why factory farms are wrecking the health of millions. Then on to the second largest cause of climate warming, and no, it’s not methane. I’m Alex Smith. Let’s get going. Or listen to this program on Soundcloud right now! When young people want local food, safe food grown organically, when they spend a few cents more for eggs from a free-range chicken – they may not realize there is a long-term champion for all of that and more. John Ikerd was raised on a Missouri farm before going all the way to his doctorate in agricultural economics. He’s worked in the big farm system, and taught at the University of Georgia, the University of Missouri, and more. Since retiring as Professor Emeritus of Agricultural and Applied Economics, John didn’t go quiet. He’s written a half dozen books, and continues to speak in America and abroad. His book include: “The Essentials of Economic Sustainability”, “Sustainable Capitalism: A Matter of Common Sense”, “Small Farms are Real Farms: Sustaining People Through Agriculture”, “Return to Common Sense”, Crisis and Opportunity: Sustainability in American Agriculture”, “Revolution of the Middle… Pursuit of Happiness”, and “The Case for Common Sense”. The Case for Common Sense is available free online here. This creates “animal factories” set up like “biological assembly lines.” It treats animals as though they were raw materials running through a factory. These animals are not healthy. They factory system kills them at a very young age, and it’s likely they may not have lived much longer. There is a lack of concern that these animals are living sentient beings. DO WE NEED INDUSTRIAL AGRICULTURE TO FEED PEOPLE? While there is a saving in labor, Ikerd says, there is no saving in fossil fuels, or in capital required. Big food operations require more of both. Studies show that if we changed to a really sustainable and organic system, using techniques learned in the 1930’s and 40’s – retail food prices would not go up more than 10 to 12 percent. In the U.S., food prices already rose more than that, as a consequence of the biofuels program, where food was turned into a gasoline substitute or additive. Up to 40% of the U.S. corn crop went into ethanol production. We can feed the people without an industrial agriculture system, at a reasonable price, says this experienced agricultural economist. It is not true, Ikerd says that we need factory farming to support our large population. The industrial farm can produce food with less labor, and particularly less skilled labor. I would add that fewer farmers means a depleted sense of community in rural areas. These large farms tend to inhabit a kind of social dead zone, with fewer people to volunteer or organize community, and less need to do so. WHY IS FOOD PRODUCTION SO SECRETIVE, CLOSED TO THE PUBLIC? Most people never visit a factory farm. In fact, in many places we are prevented by law from seeing these secret massive pig and chicken farms, much less taking pictures. How did the act of farming become so closed off – that anyone questioning where our food comes from can be called a “terrorist”? Part of economic theory, Ikerd says, is the ability to carry out impersonal transactions. We do it all the time in the market place. Obesity, diabetes, and many diseases unkown when we were kids are sweeping the Western World. Can we tie massive health problems to industrial agricuture? John says industrial agriculture is part of this poor outcome, while more rests with the next stage of packaging and marketing. Scientists predicted this problem in the 1930’s and 40’s. This includes Professor William Albrecht at the University of Missouri. “He said when you turn to focus on the economics, as he knew was coming, with the chemical fertilizers and pesticides and things of that nature – he said what you will end up with is you select crops for the maximum yield rather than the quality. And what you end up with in crops with maximum yield is crops that are higher in those nutrients that come from the air – carbon, hydrogen, oxygen, nitrogen. And he says, they will be deficient in those essential nutrients that come from the soil, because that will be the nutrients that limit production, whereas those that come from the air are basically limitless. If you think about that, what is coming from the air is carbohydrates – carbon, hydrogen, and oxygen. And so you end up with crops that are high in carbohydrates, high in sugar and high in calories, and lacking in some of the essential nutrients. That was his hypothesis. 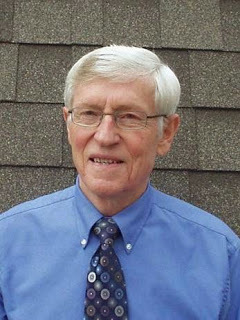 You can read John Ikerd’s 2011 Albrecht Lecture “Healthy Soils, Healthy People” here. John doesn’t discount other factors, like lack of exercise and changes in lifestyle – but even those may be related to lack of vitality from a poor food supply. In a You tube video, John put out a fact that stunned me. He said “If you’ve got even 200 cows you’ve got as much waste as a city of 10,000 people“. There are operations with thousands of cows, and tens of thousands of pigs, not only in America or Europe, but in China too. What is the impact of all that manure, and what can we do about it? “We have the evidence that shows we are polluting the streams, the air and the water with agricultural waste from these operations.” While there are differences between human waste and that from cows or chickens, in some ways they are very similar. Why do we treat human waste with sewage systems and other precautions, John asks, while we don’t require farm waste to be disposed of safely? It’s the same as telling a city of people to just dump their sewage in their backyards, and let it be washed away with storm water. We wouldn’t allow that for humans, but that’s what happens at large animal feeding operations. An EPA report from the late 1990’s found there were 35,000 miles of streams, in 22 states, that had been polluted with waste from these confined animal feeding operations (CAFO). The groundwater in 17 states was polluted. WILL CLIMATE CHANGE LEAD TO MORE LOCALIZED AND SUSTAINABLE AGRICULTURE? As we’ve seen in California, the climate can change for years at a time. John Ikerd, says the climate threat can actually boost better farming methods, and more localization. In several speeches, John has said it’s difficult to forecast the future. But there are underlying principles. With climate change the greatest impact is going to be the variability. That’s key for agriculture, which is susceptible to extremes, whether untimely cold spells, heat waves, dry and wet years. That’s a huge risk for agriculture, with more crop losses. This may change the nature of agriculture away from the industrial type, e.g. large feedlots and mono-culture, which is highly risky with no diversification. Family farm operations tend to be more diversified. With climate change, the public may soon become more aware of the huge tax cost of supporting industrial agriculture. Most people are simply not aware that most Western governments spend many billions of dollars supporting industrial agriculture. We pay attention to military spending, but not agricultural spending. More than half the cost of crop insurance is compensation for a certain yield. Governments also provide low interest loans, subsidies, and other means of keeping up with disasters. The taxpayer assumes a lot of risks. Now futures even guarantee the price. Farmers can plant any amount of crops, without worrying about market prices which are guaranteed by the government. Then there are tax credits. For example, the polluting manure pits of hog operations are not taxed in property taxes in some states, like Iowa. As climate change stresses crops, for example requiring more irrigation from dwindling water supplies, then the cost of production will go up, and so will the cost to the taxpayer through all the subsidies. Tax payers may start to object to this blank cheque for industrial food production. The logical alternative is a move to more sustainable agriculture. Crop rotations, organic, and better livestock management. These can cope with risk, from the time before government and taxpayers took up the risk. They can produce as much as the industrial farm, he says. And they can adapt better to changes in the climate. Here is another key point, as raised by many other guests on Radio Ecoshock: the sustainable farm can also capture carbon back into the soil, becoming a solution for climate change. Ikerd is author of “Essentials of Economic Sustainability”, “Sustainable Capitalism, A Return to Common Sense”, “Small Farms are Real Farms”, “Crisis and Opportunity: Sustainability in American Agriculture”, and “A Revolution of the Middle”. More complete background information and a wide selection of writings are available at http://www.johnikerd.com. In this interview John believes that we owe a debt to the people of the past who made our lives possible – and we can only repay that debt by leaving a sustainable society to the people of the future. I also ask John about his impressions from his trip to China (he just returned in the past week). Ikerd hopes the Chinese will avoid the mistakes made by America with industrial agriculture. The Chinese people have traditions and methods which could enable them to jump over the stage of industrial plunder of the land and animals, toward a truly sustainable system. He doesn’t know if they will accept and complete that challenge. There are billions of rural farmers in Asia. There is no where for them all to go, in order to clear the land for large-scale industrial agriculture. China and India cannot release the same per capita pollution that we did in the West – or our climate is doomed. He talks about his long relationship with the Institute of Post Modern Development for China. This is associated with Claremont Lincoln University in Claremont, California. The group is associated with 23 centers in China studying everything from “process theology” to “sustainable urbanization”. Finally, Ikerd takes some hope from the rapid growth of alternative farming in America. It’s small, but growing fast. Asked if we can really hope that industrial giants like Monsanto or Cargill could fall, John says one advantage of being old (he’s 75) is that older people have experienced a world much different from today. Maybe old people believe major change is possible, because they’ve seen so much rapid change already. Find John Ikerd’s personal web site here. Download or listen to this 34 minute interview with John Ikerd in CD Quality or Lo-Fi (and feel free to pass on these links, they are permanent). This one hour Radio Ecoshock show contains audio from this You tube video: Climate Change Denial Disorder by Funny or Die, uploaded April 16, 2015. Coming up: the second biggest cause of climate change, driver of half of all Arctic melting, and killer of millions. Jonathan Mingle on black carbon. Something is killing millions of people around the world, including in your city – but we don’t want to know what it is. The same something is the second largest global warming substance after carbon dioxide. Few people know that either. 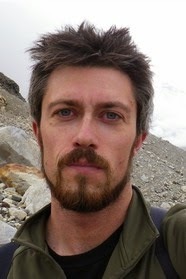 We’ll investigate with Jonathan Mingle and his new book “Fire and Ice: Soot, Solidarity, and Survival on the Roof of the World”. We have a long way to travel in this interview, to the Himalayas, so recently brought into the spotlight by the massive earthquake in Nepal. But we start closer to home: Why did US President Obama make his most recent climate announcement in a hospital? Living in a city powered by fossil fuels is like smoking cigarettes. Everybody, men, women, children and babies are smoking in the smog. Why don’t we hear more about it? The health impacts from burning fossil fuels are many and deadly: heart attacks, lung cancer and cancers of all kinds, asthma, birth defects – in fact, we don’t know all the ways this pollution hurts us. And that’s not just in North America, or Britain (which recently had severe pollution alerts, along with much of Northern Europe). Of course you’ve heard about smog in Chinese cities, but did you know New Delhi India likely holds the dubious honor of being the world’s most air-polluted city? Jonathan travelled to a small valley in Nepal, which was a very poor nation even before the recent great earthquakes. There he found the village of Kumik, in the Zanskar Valley. These simple people will be among the early refugees due to climate change. Aside from a punishing drought which has gone on for years, the major source of water from nearby glaciers is starting to dry up. The glaciers are melting back. In the coming century, they will stop feeding these legendary rivers: the Ganges (reaching both India and Pakistan), the MeKong, the Yangtze (aka Yellow River in Tibet and China). In a century, it’s possible these could run dry, says Mingle. That’s partly because the Himalayas, like the Arctic, are warming 2 to 3 times faster than the global average. In fact, there are a lot of comparisons to what is happening in the Arctic and the Himalayan mountains. The Himalayas have been called the world’s “third pole”. The Kumik villagers, poor as they are, know they have to move. They will move, but no one knows where. “Black carbon” is defined as ultra-fine particles that are the result of incomplete combustion. The common name is “soot”. The small size of the particles is key, because they can get past our defenses, like nose hair, and go straight to the lungs, where they are very damaging. Because this carbon is black, it also absorbs more of the sun’s heat and energy, both in the air, and wherever it lands. Large parts of Greenland, for example, are now black, as scientist Jason Box has revealed, speeding up glacier melt there. The same factor is at work on Himalayan glaciers and snow. Quicker and earlier snow melt adds to climate change. The third factor is harder to study. It’s the way black carbon changes cloud formation. This can even change the monsoon rains that Asian agriculture depends on. There was some debate about whether increased clouds from smog may actually be a cooling factor. However, an exhaustive study led by Radio Ecoshock guest Tami Bond showed the net impact of black carbon is indeed global warming. In fact, black carbon is the second largest cause of climate change, after carbon dioxide in the air. It’s more of a threat even than methane (so far). Here is a link to my Radio Ecoshock show on black carbon, with Tami Bond and more, from April 23, 2010. Black carbon comes from many sources, including forest fires and burning of agricultural waste. But a huge contributor in India and other places in Asia is the use of solid fuels for cooking. This includes burning dung in primitive stoves indoors, which is a huge health hazard, leading to early death of millions. The Indian government and some NGO’s have been trying to convert citizens away from using these fuels in cooking. But impoverished people cannot afford a modern stove, and there is no electricity or gas available for hundreds of millions of people. Even families who could afford to convert, say they prefer the taste of food from “traditional” cooking methods! About 3 billion people, almost half the population of the world, still use solid fuel for cooking. 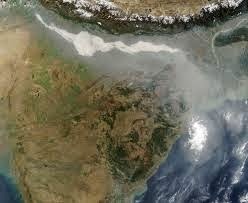 As a result, satellite photos often show huge continent-sized clouds of smog over North India, and parts of China. The Global Alliance for Clean Cookstoves is just one group working to help solve this problem. NASA photo shows smog over India. Then we have hundreds of millions of people using kerosene lamps for light. That also produces black carbon. In fact, Mingle tells us, kerosene smoke is almost 99% black carbon! This interview, and Jonathan Mingle’s book, is a real adventure in climate change developing at a very human level. It contains the big, big picture of the second largest cause of warming, but it also has a portrait of early climate refugees, on a very human level. Mingle obviously fell in love with the place and the people. It shows. The book is: “Fire and Ice: Soot, Solidarity, and Survival on the Roof of the World“. Find a good article by Jonathan in the Huffington Post here. Download or listen to this Radio Ecoshock interview with Jonathan Mingle in CD Quality or Lo-Fi (and feel free to pass on these permanent links). That’s all for this week. Check out all our past programs as free mp3 downloads at our web site ecoshock.org. If you can contribue to keeping this program going, that would be great! Get details here. Why Naomi Klein & Bill McFibben ARe Kidden'! In order for us to stay below 2°C, the IPCC says we need 500 million hectares (1 billion acres) of Farmland by 2100 so that we will be able to extract carbon directly from the air using Bio Energy Carbon Capture & Storage. A fancy way of saying we promise to bury charcoal made from burning plant fibers for energy. The acronym for this is BECCS. The real acronym for this is BS. 500 million hectares of farmland is about the size of India. That's a lot of Farmland. Yet, we are losing soil at twice the rate we need to grow it just to be able to eat. Scientific American says humanity only has 60 years of human agriculture left to us because of the rates of soil degradation, depletion and outright loss. To do this, we will need 6 million hectares of new farmland every year for the next 30 years. But, we are actually losing 12 million hectares of farmland every year. That's twice the rate it needs to grow.